Danny Jordaan’s failure to pay for the electricity he has consumed at his residence in Nelson Mandela Bay, for the last seven years, is so outrageous that it warrants an immediate and public response by the mayor. The DA can today reveal copies of Jordaan’s electricity account which show that he abused a temporary un-billed connection for seven years, and apparently logged no formal requests to have a permanent meter installed – click here. It is impossible and unfathomable that any homeowner could go seven years without making a single consumption-based electricity payment. It appears that Danny Jordaan has taken “free” electricity from Nelson Mandela Bay for seven years, and has thereby robbed the people and municipality of Nelson Mandela Bay of that income. In a fair society, all are equal before the law, whether you are a Mayor or a resident of a metro. Jordaan’s actions are no different to “izinyoka” illegal electricity connectors who illegally connect to municipal electrical connections without charge. If Jordaan is connected enough to have himself parachuted in as Mayor of NMB, surely he could also have pulled the right strings to solve an electricity billing issue if he really had the will to solve the problem. The fact is that for seven years it served his pocket to remain silent and to continue to draw electricity without charge. It is unethical, irresponsible and unbecoming of a Mayor to be caught allegedly abusing municipal finances. Danny Jordaan has, since his election, done nothing to publicly address a mounting number of allegations against him that cast aspersions on his character. He has lurched from crisis to crisis, and has hidden himself from the people to whom he must account. The double scandals of an alleged$10million World Cup bribe, and seven years of electricity free-loading leave Danny Jordaan compromised and not deserving of his new Mayoral office. 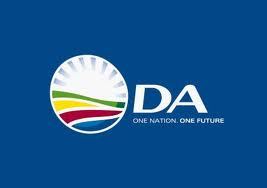 In the 2016 elections the DA is set on winning Nelson Mandela Bay, to bring a full-time Mayor and a DA record of clean and caring government to the people. It is now high time that Danny Jordaan comes out of hiding and answers to theraft of allegations against him. The people of Nelson Mandela Bay deserve better.